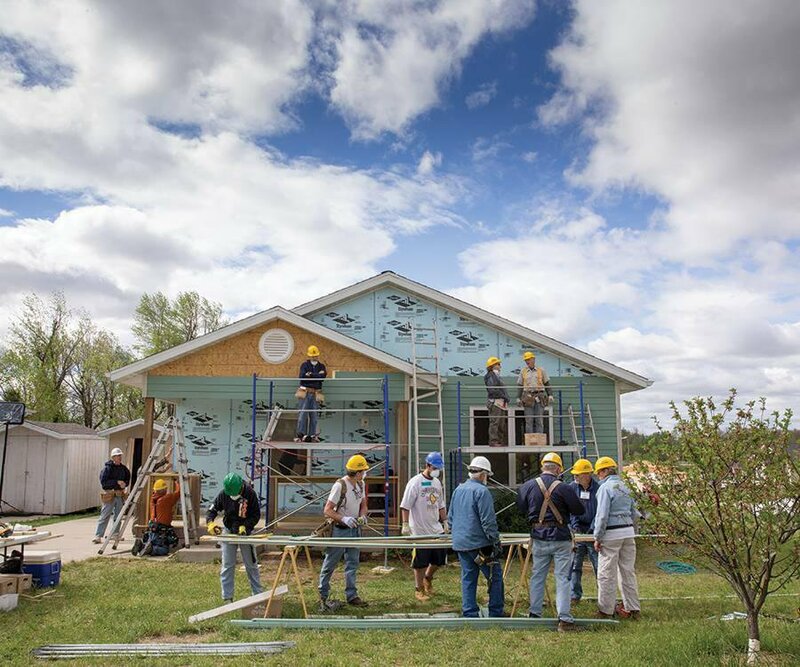 Inspired by our staff’s participation in the Junior League of Springfield’s all-women built for Habitat for Humanity of Springfield, Missouri, we put together a list of ways you can lend a helping hand to Habitat. Visit habitatspringfieldmo.org and click on “Get Involved” to book an individual shift. Groups can call volunteer coordinator Tommy Hawkins at 417-829-4001 (extension 112) to make arrangements. No matter your experience level, you can help take a house from frame to finishes. Homes are built to Energy Star standards and are sold with a zero-interest loan at a super-affordable price that’s only possible thanks to the time and elbow grease donated by volunteers. More interested in customer service than sweating with a paintbrush? The Habitat for Humanity ReStore is always looking for volunteers who can help out at the store or go out on trucks to pick up donated items that can be sold in the store. Habitat for Humanity picks local neighborhoods and focuses efforts on making improvements home by home and block by block. Homeowners are charged for repair materials and supplies with a zero-interest repayable loan, and labor (staff or volunteer provided) is free of charge. Through the Critical Home Repair program, volunteers can remove lead paint, make stairways safer, put in necessary ramps and contribute to home improvements that increase the health and safety of someone’s home. Often for Critical Home Repair and the neighborhood revitalization efforts, Habitat is helping people who are seniors, who are disabled or who otherwise can’t do the work themselves. If manual labor just isn’t your thing, you can serve on a team that helps Habitat for Humanity from the inside. There you can do things like help plan Habitat’s big events.